Jeremy Weisz, Assistant Professor of Biology, reading The Wonderful Wizard of Oz, by L. Frank Baum, illustrated by W. W. Denslow. 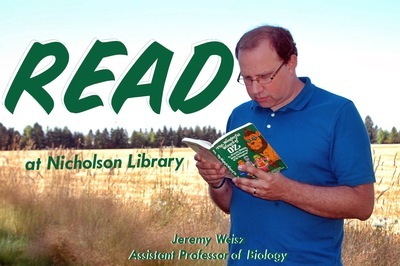 Terry, Paula and Nicholson Library Staff, "Jeremy Weisz READ Poster" (2014). READ Poster Gallery. Image. Submission 136.